Everything you need to know about getting a loan for your home improvement project! What is the single force that can shape your future? What power do you wield that can change everything? It’s the power of choice. Through the power of choice you can decide the outcome. There is nothing more powerful than an informed decision. That is why you’re here today, because you want to know what choices you have at your disposal for obtaining the funds that you need for your home renovation. There may come a time when your home is in dire need of a bit of restoration or a full blown makeover. Home makeovers don’t come cheap either. Unless you have the money set aside for just this time, then you’re in the clear, however, most people don’t. You seek out a loan, make an informed decision and choose the right option that best fits your needs. This series of articles provides you with numerous loan options. Some will be viable for your specific situation, while others may not. What matters is that you understand that you DO have options out there and don’t have to settle for less than you deserve. How Much Can You Borrow for Home Renovations? Yes, you read that correctly. A Home equity loan is essentially a second loan (the first being your mortgage) that you take out on your house, but where the mortgage goes to purchasing your home, the second loan (home equity loan) is a sizable lumps sum of cash that the bank gives you to do as you please. Once approved for the loan, you’ll simple receive a check for the full amount. Often referred to as a “second mortgage”, home equity loans are by far the most popular method for borrowing large sums of money. It’s essentially based on how much the home is currently worth and vs. much you owe on the mortgage. The difference would generally make up the size of the loan that could be borrowed. The lender provides you with a loan. As assurance, that you will pay the full amount back, plus interest, you put your home as collateral and typically operate on a fixed rate, which must be paid back in monthly installments over the course of 10-15 years. For most borrowers, home equity loans provide a great deal of appeal, because it’s so simplistic that it’s hard to pass up. For those that have a single discrete expense (like the renovation of a kitchen) a regular home equity loan may be the right move. You get the money you need, you pay for the renovation project, and begin paying back the loan right away, in monthly installments that remain the same over the course of the loan term. To add to the allure of a home equity loan, they became increasing popular in 1996 when the IRS decided to allow the interest on home equity loans to become fully tax deductible . The deduction only applies to interest from the loan for a first or second home. You are not able to choose which home is your primary residence. Your primary residence will be the home in which you resided for the majority of the year. You have the option of deciding which second home will qualify for the deduction. Each tax year, you may select a different second home based on which gives you the best tax advantage. If you are consolidating your debts, you can deduct the interest on the first $100,000. The limits are higher (up to the value of the home or more) if you took the loan out to buy a second home or make improvements to your home. If the loan was for home improvements, the interest deduction cannot exceed one million dollars. This includes the mortgages for both the first and second home combined . The benefits don’t stop with tax deductions either. Because the risk for lenders is minimal (if you don’t pay, they can take your house), the interest rate is generally lower than other forms of finance. Plus, they’re far easier to qualify for (usually), depending on your level of credit. A home equity line of credit (HELOC for short) allows you to borrow against the equity of your home. Unlike a traditional home equity loan, the lender will typically provide you with a credit card so that you may borrow smaller sums whenever needed. According to the Federal Trade Commission, you may be able to borrow up to 85% of the appraised value of your home, minus the amount that you still owe on your mortgage . You will only be required to pay interest in the amount that you take out, and are limited to the total amount of the loan. Additionally, the interest of loans of up to $1,000,000 is tax deductable . On the surface, HELOCs seem to be a more enticing offer than a traditional fixed rate loan, but appearances can be deceiving. For instance, unlike traditional home equity loans, HELOCs are characterized by having an interest rate that fluctuates (often times dramatically). Lenders will often offer a low “introductory rate” in order to gain interest from borrowers, only to increase the rate after a few short months. In order to protect lenders, HELOCs have a built in safeguard known as “advance period terms”, which simply means that you will be able to access your funds for a given period of time. Once the designated period is over, however, you will no longer be able to withdraw your funds and will be required to pay back what you’ve borrowed up until that point within the next 10 years. For some, this is a major benefit as it lessens the opportunity to acquire more debt, while for others that require smaller payments over a longer period of time, it can be seen as a drawback. One major deterrent for borrowers is what is known as a “balloon payment”. This is essentially an additional, sizable fee that is tacked on at the end of the loan term. Most opt for HELOCs because they want to reduce the size of payments or don’t want to accrue large amounts of debt, which is completely negated if the lender requires a balloon payment. All of the logistical issues aside, HELOCs pose another potential risk. The lender essentially provides you with a card with a massive credit limit and sets you loose into a world chocked full of seductive ads and offers, tempting you to spend money every chance that you get. Remember, you’re sole reason for requiring a loan is to pay for you desired home renovations, and not to be used as a revolving ATM. The simple compulsion to buy may be the most notable reason as to why a HELOC would make a poor choice for your needs. However, that being said, if for some reason you decide to remodel your home over an extended period of time or simply want a safety net that can bail you out in a moments notice, then a HELOC could still be an appropriate method for acquiring the funds you need. For those that think putting your home in such a compromising position is dangerous, well then you would be right. In a 2011 report published by the Federal Deposit Insurance Corporation (FDIC), outlined the underlying risk of obtaining a home equity loan. 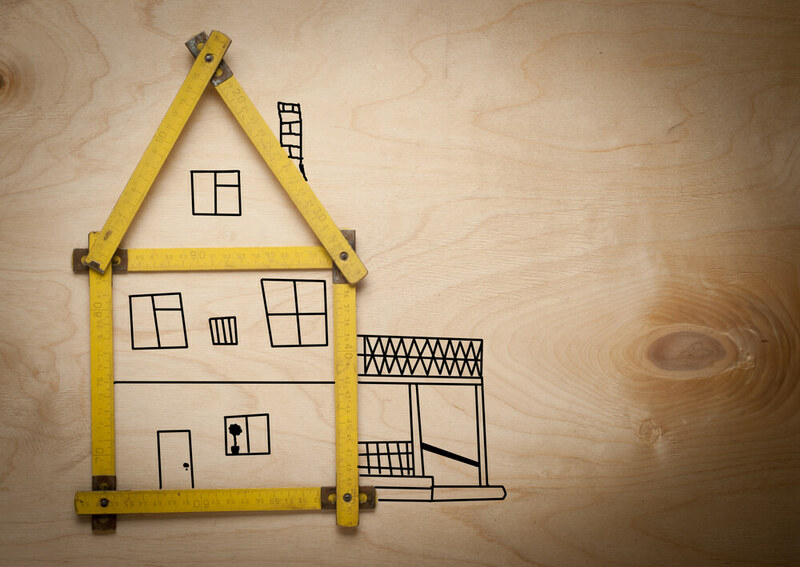 “Home improvements that enhance the value of your property are probably the best use of a home equity product,” according to Glenn Gimble, an FDIC Senior Policy Analyst. “But don’t risk your home by using the equity to pay for non-necessities, such as a vacation or a new TV,” Gimble said . However, home equity loans are making a comeback after several disastrous years during the recession. Newly originated lines of credit and home equity loans rose by nearly a third during the first 9 months of 2013, compared to the same period one year prior . Due to the rising home prices and a stabilizing economy, lenders are becoming more comfortable in offering home equity loans, which will allow you to get the money that you need for your renovations at a reasonable rate. Before you jump the gun, it’s important to have an understanding of ALL of your available options prior to deciding on a financial plan. During the Great Depression, the rate of foreclosures and loan defaults increased at a staggering rate. To help ease the suffering of the people, and to alleviate the fear that made lenders hesitant to provide loans, the National Housing Act was passed in 1934. The Federal Housing Administration (a government agency within the U.S. Department of Housing and Urban Development) essentially backs the lenders, drastically reducing the amount of risk that they take if a borrower were to default. So, what does this mean for you exactly? With virtually no risk involved for the lender, they are not only more likely to qualify loans, but will also do so at a lower monthly payment / interest rate as well. This makes loans more accessible and affordable to everyone. Typically, FHA loans are one of the easiest mortgages to qualify for because you can have less than outstanding credit. In September of 2010, the Department of Housing and Urban Development passed a law requiring borrowers to have at least a 580 credit score in order to qualify for a full loan. However, borrowers that have a credit score between 500 and 579 can still receive 90% of their loan-to-value ratio (LTV). Most agencies consider anything below a 620 credit score to be extremely poor, so unless you’ve acquired a lot of debt or have missed payments of the debt you currently own, then it shouldn’t be too difficult to obtain an FHA loan. However, if you do find yourself below the 500 mark, then you likely should not be taking on anymore debt until you’ve paid off what you already owe. Yes, sometimes the truth can hurt sometimes, but it’s important to not consistently bog yourself down with added financial pressures. If you’re unsure of what your credit score is, then you can always check for free at Credit Karma. Another interesting benefit of an FHA loan is that it is assumable, meaning that if you were to sell your home before the entirety of your loan is paid off, the new buyer can “assume” the loan that you have. Like with most silver linings, there is always a downside as well and FHA loans are no different. Since FHA loans are far less strict with their standards than a traditional, home equity loan, it does require 2 different types of mortgage insurance premiums. 1. The first mortgage insurance premium must be paid in full upfront or added to the mortgage payment. 2. The other comes in the form of a monthly payment. Additionally, all FHA qualified homes must first be inspected by an FHA approved appraiser in order to ensure that the house meets certain conditions. Upfront mortgage insurance premium (MIP) – This is the upfront payment that the FHA requires. This means that the borrower, regardless of credit score, will be required to pay at least 1.75% of the home loan. Here’s an example: $100,000 loan X 1.75% = $1,750. This is the sum that will need to be paid upfront OR can financed into the mortgage. Annual MIP – The name is slightly deceiving because this is the payment that is accrued monthly and added to your mortgage payment. There are actually numerous factors that play a role in how much your monthly MIP payment will be. Monthly payments are based on the size of the loan, the length of the loan, and the borrower’s loan-to-value ratio. There are also different annual MIP amounts for loan terms that extend further than 15 years from those that are shorter in duration. In 2013, the FHA adjusted their terms for the annual MIP rates by amortization term, base loan amount and LTV ratio (as seen below). Yes, it looks as if the FHA has tighten their standards a bit over the past year, but this comes in lieu of a 2012 study that outed many lenders for providing risky loans. Let’s face it, the average person isn’t a financial expert, so they will likely try and take out loans whether they have the ability to pay them back or not. It’s up to the lender to put limitations on who receives payment, so by tightening their standards a bit, they may have saved a few home owners from digging themselves into a financial hole too deep to get out of, and for that, they should be commended. There are a few other stipulations that must be taken into consideration before applying for an FHA loan. For instance, monthly expenses (mortgage, home insurance, property taxes, etc.) need to make up less than 31% of your gross income, however, some lenders will go as high as 46.99%, but will be required to provide justification as to why your loan presents an acceptable risk. Don’t let any of this technical jargon scare you. FHA loans are still an excellent choice for funding renovation project, although they’ve decreased in popularity over the years. Just within the last few days, the FHA actually began imposing a ban on lenders that were collecting extra interest rates from borrowers, ensuring that borrowers would receive a fair deal wherever they go . So yes, FHA loans are still quite desirable for home improvement loans, despite having imposed more rigid requirements since the housing bubble burst in the mid 2000’s. I intentionally did not add this to the above FHA loans. Why? Well, the 203k is a bit different. This section is particularly geared towards those that have not yet purchased a home (but have an eye on one), and plan to do extensive renovations when the home is finally obtained. Imagine buying an older, dilapidated house for an extremely affordable price, and turning into your dream home; the perfect abode, where every nook and cranny is exactly to your specifications. Then reality dawns on you that such a project would be too far outside your price range to ever afford. The remodeling costs would be far too cumbersome on your bank account to try. Lenders won’t even provide you with a traditional equity loan because the house is damaged or deemed “uninhabitable”. What if there was a type of loan specifically designed for this type of endeavor? This is where the FHA 203k comes into play. Like other FHA loans, the 203k is backed by the U.S. Department of Housing and Urban Development to provide loans to those that want to buy damaged or older home and renovate them. Sounds awesome right? Here’s how it works: Let’s say that you want to buy a home that needs a brand new kitchen or a bathroom. An FHA lender will not only provide you with enough money to purchase the home, but will also give you additional funds to complete the renovation process. Not only that, but 203k loans often come with a “reserve” amount of up to 20%, so that if you find that the renovations cost more than originally projected, you will have additional funds to tap into in order to complete the project in full. If that wasn’t enough, it also comes with a provision that will give you approximately 6 months of mortgage payments so that you can live somewhere else while your fixer upper is being remodeled and make mortgage payments on the home. This way, when you do move in, you’re not behind on payments. 1. 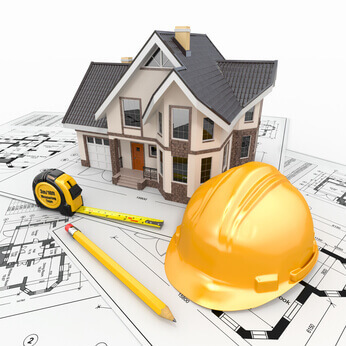 Regular – Is given for properties that require structural changes such as the addition of a room or a new roof. 2. Streamlined – Provided for non-structural repairs such as new appliances or painting. 1. The value of the property (as is) plus the renovation costs. 2. An estimated 110% of the value of the home once renovations are complete. This is a highly desirable option for aspiring home owners that are looking for an affordable way to finance a “brand new” home or recover from a disaster. However, if you already own a functioning home and want to finance a renovation, then this certainly is not the choice for you. In recent years, energy conservation has become a hot topic of discussion. It turns out that the government actually awards individuals that energy conservation by providing what’s known as the energy efficient mortgage program (EEM). In 1992, congress mandated the EEM as a pilot program in five states. Pleased with its effectiveness, the program was then introduced nationwide in 1995. The EEM provides the borrower with special benefits when a home becomes more energy efficient through the installation or maintenance of energy efficient improvements. Second only to mortgage payments, utilities can cost an arm and a leg. By reducing these costs, home owners have more money to allocate to housing expenses. The beauty of the EEM is that it works hand in hand with other loans such as the 203k. Borrowers can use this program to finance the cost of energy efficient improvements into their new mortgages, without the need to qualify for additional financing, because cost effective energy improvements result in lower utility bills making more funds available for mortgage payments. Instead of covering the basic figures, I wanted to share an excerpt from the Hud.gov website. “In the fall of 1995, Caroline and Tommy Chang decided to refinance their 35-year-old home to take advantage of lower interest rates. Their lender suggested they get a HERS Rating on the home so they could finance energy improvements through their new mortgage deal as well. The EEM essentially works as additional leverage to increase the “borrowing power” of home owners to help receive more money than they would have originally qualified for. Much like the EEM, the Title 1 property improvement loan allows borrowers to increase the amount of money that they receive from lenders and is designated to finance the rehabilitation of homes. HUD insures the lenders against loss on the property improvement loans that they provide, which decreases the risk to the lender, allowing them to loan larger sums of money. Single family homes qualify to receive funding for repairs, alterations, and site improvements. Multi-family homes on the other hand, may only receive financial backing for repairs and building alterations. Both single and multi family homes can also be used in conjunction with other loans like the 203k. This is easily a clear cut favorite for those seeking the additional funds required to finish their home improvement projects. The Title 1 loan is highly accessible and relatively easy to qualify for, making it a prime choice for renovations. If you have your heart set on a loan, unless your credit is in the crapper, then there may be no better option than to apply for a Title 1 loan and couple it with one of the other loans to receive the money that you need. Sometimes life has a way of running us through the ringer. Choices are made and there may come a time when you are put in a position where your credit gets dragged through the mud. Obviously, it’s never ideal to have debt lingering over your head, but it certainly isn’t the end of the world. There are methods of obtaining the money that you need to improve your home without having class “A” credit. It’s important to understand that most lenders won’t work with someone with a credit score in the low 500’s to low 600’s, so most loans simply will not apply. For them, the risk isn’t worth the reward. However, there are loan options that are applicable to those that have less than ideal credit. One option in particular is known as a B/C paper loan. It’s similar to a home equity loan, but the most significant difference is that the interest is generally much higher to mitigate the risk that the lender takes. In the incidence of an emergency, this may be your only option if your credit score is too low to qualify for anything else. However, if at all possible, this type of loan should be avoided like the plague. If your credit is completely shot, then you need to build it back up and attain financial security prior to taking out a new loan. As much as it may hurt, your renovation can wait if it means not putting yourself into further debt. I’ve laid out the loan options for you. It’s your responsibility to sort through the requirements in order to deduce which loan best fits your financial situation. Some options are better than others when pertaining to home renovations and remodeling, but believe me, each loan type WILL fit someone. With the information provided to you comes the power to choose. You don’t have to settle for what a lender offers and accept only the best offer that meets your needs. Liberty Tax. Home Equity Loan Tax Deductions. The Fiscal Times. The Hidden Risk of Home Equity Loans. Federal Trade Commission. Consumer Information – Home Equity Loans and Credit Lines. Federal Deposit Insurance Corporation (FDIC). FDIC Consumer News – Spring 2011 – Home Equity Loans: Great Benefits, Serious Risks. Department of Housing and Urban Development. Mortgagee Letter 10-29. Pinto, E. American Enterprise Institute. How the FHA Hurts Working-Class Families and Communities. December 2012. Harney, K. L.A. Times. FHA to ban lenders from charging extra interest payments on mortgages. September 7, 2014. HUD.Gov. Energy Efficient Mortgage Program. HUD.Gov. Energy Efficient Mortgage Homeowner Guide.